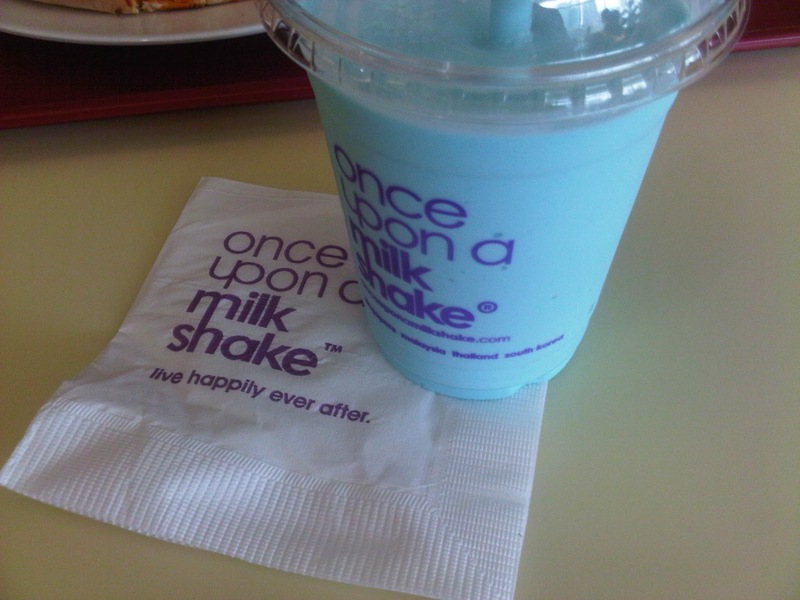 Been having sore throat for the last few weeks so it was only today that I had the opportunity to try the milkshake from Once Upon A Milkshake. Once Upon A Milkshake is located on the Level 2 KLCC food court. In terms of flavours, there are the usual favourites like Chocolate, Vanilla, Strawberry, Butter Scotch and more. I tried the Bubble Gum from their King's Favorites selection. What I like about the milkshake is that it is nice and creamy. Another thing, it's not TOO cold. You know if we drink milkshakes from McDonald's, it's like the same temperature of an ice-cream. But the temperature of the milkshake is just right, not too cold.